Zlatan Ibrahimović continues to be the (soccer) toast of the town in Los Angeles, a city that in addition to Zlatan has gained superstars LeBron James and Manny Machado in recent weeks. On Sunday, Zlatan had his first MLS hat trick as the Los Angeles Galaxy continue to march toward the playoffs. On Monday, however, he announced that he wouldn’t take part in this week’s All-Star game against Juventus, one of his former teams. That brought disappointment from MLS Commissioner Don Garber, whom according to ESPN, understood Zlatan’s decision but still was disappointed. Since Zlatan won’t be playing Wednesday in the All-Star game Atlanta, we pulled together some of our favorite Zlatan quotes since he arrived in the States earlier this year. 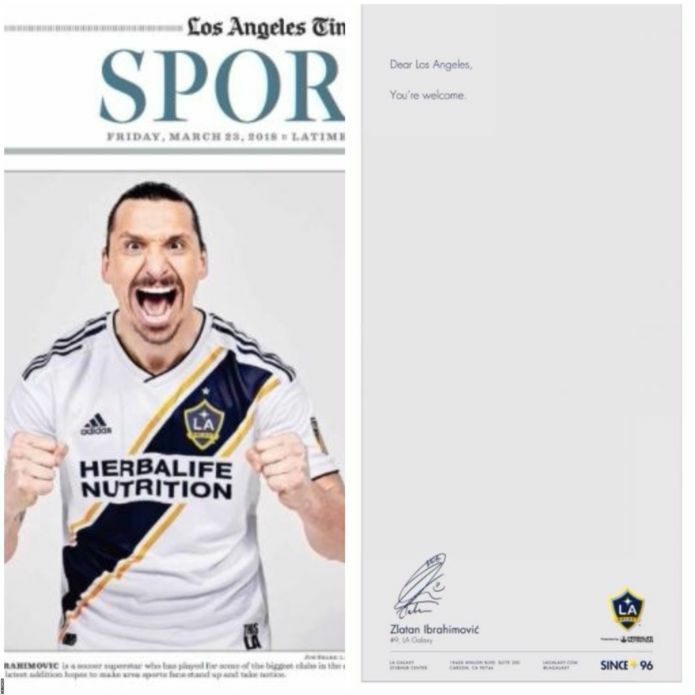 His full-page message in an ad in the Los Angeles Times after being signed by the Galaxy. After scoring 15 goals (second in MLS) in 17 games, the message has been prophetic. When asked if Los Angeles was big enough to handle his personality. Zlatan in an epic interview with Jimmy Kimmel after his first game in Los Angeles. To Kimmel when asked if his teammates would be bothered by his confidence. Zlatan to Kimmel on going to the World Cup. Zlatan, appearing as a fortune teller, in a skit with James Corden. Zlatan in an interview with Jim Hill of CBS Los Angeles. 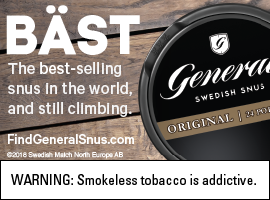 Zlatan in an interview with Dan Patrick when asked how popular he is in Sweden. Zlatan to Patrick when asked which celebrity he’d like to meet. Zlatan to Patrick when asked who’s the best player in the world.